Brought to you by AARoads, included on this site are guides for every Interstate highway within the Eisenhower Interstate System. The national network of freeways and toll roads includes a number of transcontinental routes, many urban expressways, officially designated scenic byways and engineering marvels. Construction and maintenance projects continuously increase capacity, addresses safety issues and modernizes infrastructure. The system is not done expanding, as newer corridors are developed with Congressional authority. Designated in 1956, the Eisenhower Interstate System includes over 46,000 miles with routes in each of the 50 states and the U.S. Territory of Puerto Rico. The Federal-Aid Highway Act of 1956 specified a limit of 41,000 miles to be built with Interstate Construction funds. Legislation eventually increased that limit to 43,000. Other legislation allows the Federal Highway Administration to approve additional mileage for freeways adhering to Interstate standards that would be a logical addition or connection. These routes are considered not chargeable, meaning they are not eligible for Interstate Construction funds under the 1956 Act. 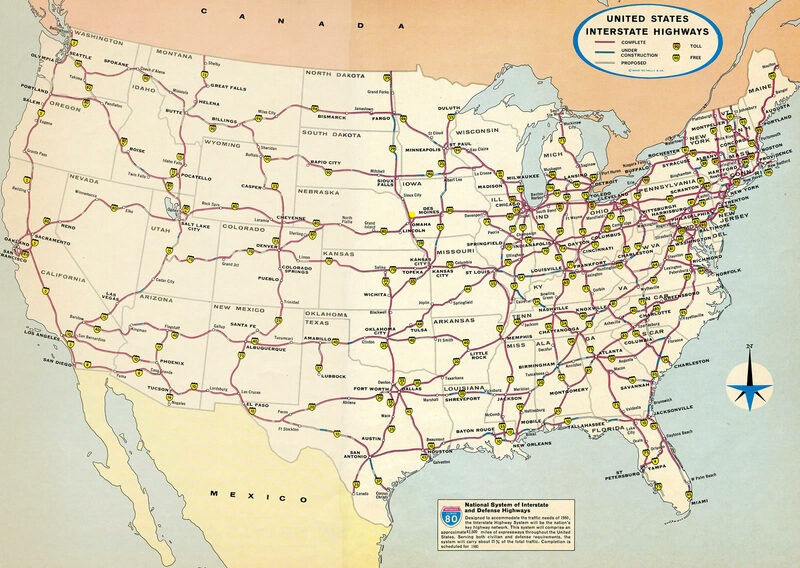 The Interstate Highway system in 1974. The Federal Aid Highway Act of 1968 increased the Interstate system by 1,500 miles. The 42,500 mile system then was envisioned for completion in 1980. 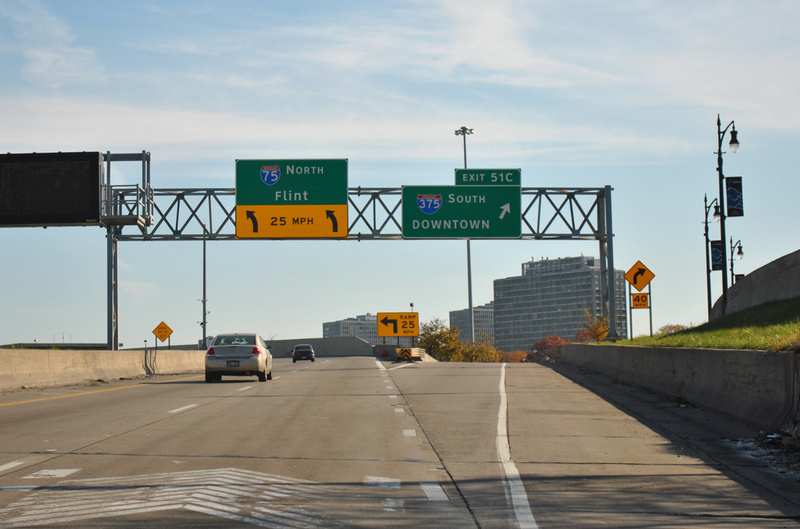 Basic information and facts for every route within the Eisenhower Interstate System. Photographs covering each route’s end point. News on major construction projects or proposed extensions. History and maps, traffic counts and more. An FAQ section with select stats and rankings, trivia, factoids, and other information about Interstate Highways. The original Interstate Shield Gallery was merged with the Shield Gallery on AARoads. Featured there are not only photos of Interstate highway shields for each state, but also U.S., State, County, Turnpike, and other route shields from throughout the country. Cataloging most known turnpikes and toll roads, including those that are not part of the Interstate highway system. More recent trends since the mid 2000s see the addition of high occupancy toll, or HOT lanes to many stretches of Interstate highway within various metropolitan areas. These lanes are often free to use for high-occupancy vehicle (HOV)/carpool eligible motorists and open to other traffic at a variable toll rate based upon congestion pricing (higher rates for busy periods, lower rates for off-peak hours). Some Interstates, such as I-595 in Broward County, Florida, include Express Toll Lanes with no HOV provision. In addition to our list of Interstates, we recommend you also peruse the Official Federal Highway Administration Interstate Route Log and Finder List and Three-Digit Interstates (3dis) at Kurumi.com for additional information on the United States Interstate Highway System. Please see our contact page for comments and questions for the webmasters. We are also interested in obtaining updated photos of Interstate Highway endpoints to complete this project. If you have one you would like to share, please drop us an email or a message on social media. Contributors to the Interstate-Guide can be found at the Acknowledgments Page. Interstate 75 at the north end of Interstate 375 by Downtown Detroit, Michigan. Photo taken 11/06/11. Interstate 375 is the shortest signed route within the Eisenhower Interstate System at 1.06 miles. I-878 in Queens, New York is shorter, but the route is not signed. This will eventually change with plans advancing to convert I-375 in Detroit to an at-grade boulevard. Wisconsin 78 north ends at the merge point of Interstate 39 south with Interstates 90 & 94 east near Portage, Wisconsin. Photo taken 06/15/15. 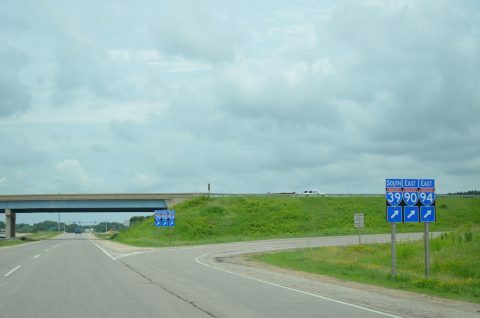 There are two three-way overlaps in the Interstate System at present: Interstates 39–90–94 between Portage and Rockford, Illinois and with the 2015 designation of I-41, Interstates 41-43–894 along the Airport Freeway in Milwaukee. A third set will be created once I-69 is completed from Bloomington to Indianapolis along I-74 & 465. Interstate 5 passes through Downtown San Diego’s S-curve below the Sixth Avenue over crossing. Photo taken 07/13/06. Prior to its retraction in 1964, Interstate 5 through San Diego was signed as U.S. 101. 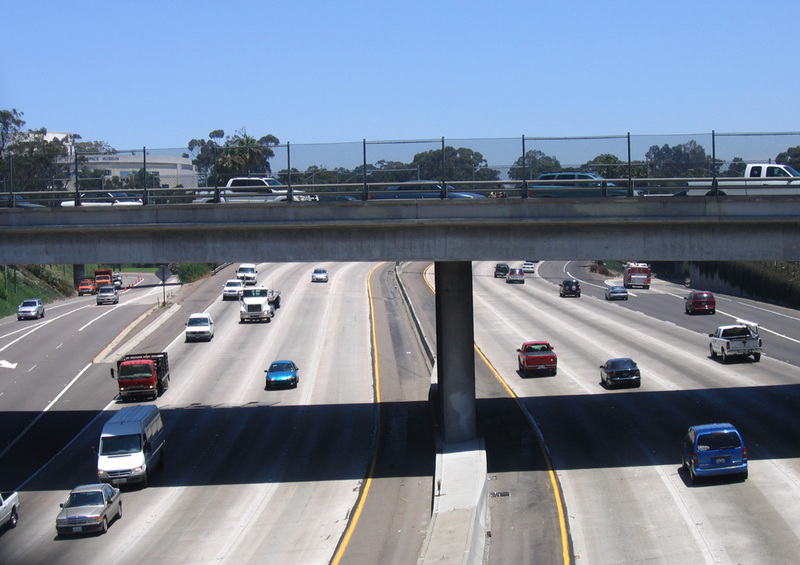 The majority of California’s U.S. highways were whole sale replaced by the Interstate system. Photo taken 07/13/06.